We are bullish above 11150 and short term bullish above 11350. An interesting setup for bears is a short from current position, with a stop above 11475, targeting a move back towards 11425. I doubt I will take that. 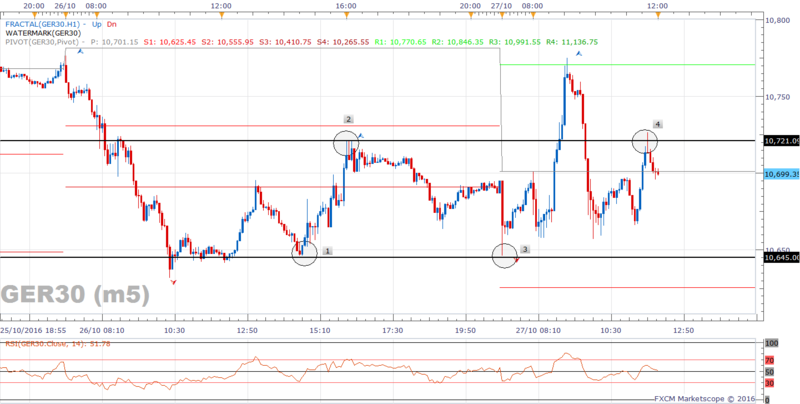 A pullback to that level, which was the R1 from yesterday (pivot point indicator) could interest me to go long. 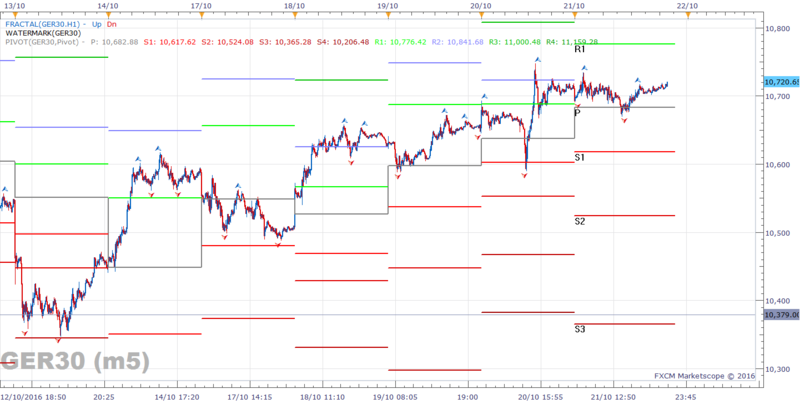 Bulls will also take encouragement from a break above 11475. On the four hour chart, we have moved away from the upper Bollinger band and the trajectory of the rally has softened. We are still in the top half of the Bollinger channel and above the median line, and the oscillator is still overboard and has been for over a week. On the one hour chart, the slowdown is more obvious and we can see clear bearish divergence. So from current levels, there is an opportunity to go short with a stop above the recent high. I am just aware that the move may not be over yet and I may find a better price nearer to 11 430. 11230 was an important target for many traders and I would imagine there was a lot of profit-taking to be had there. 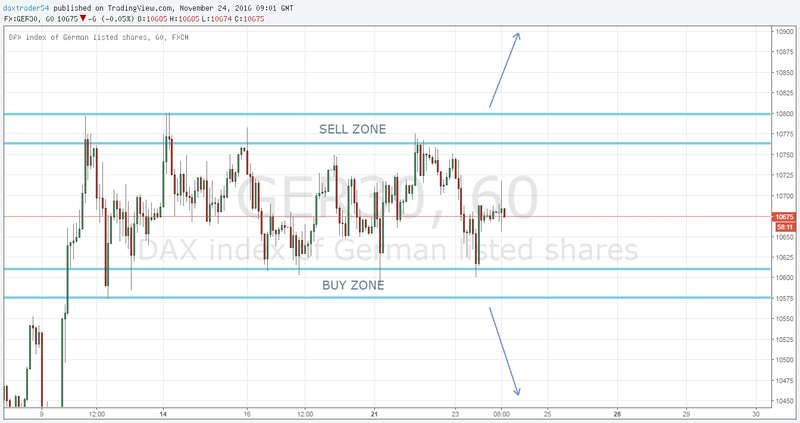 The Dax has rallied over 800 points in just over a week and the need for consolidation is high. If the rally does continue, then the next major target is 11 430. On the m5 chart, a break below 10160 could open up the 10125 zone again, this was supportive yesterday, but if that goes there is a low volume pocket below and price could find a decent opportunity to correct. I would like to see 11000, maybe even 10900. If price holds and doesn't break lower, then the next move is a break above 10230 on the way towards 10430. One more reason that we may well be seeing this incredible rally on the Dax, is because many analysts and traders are pricing in the fact that the ECB will once again be showing off its generous side. They believe that it will once again extend the multibillion-dollar easing program and this will have a positive effect on the Dax. Super Mario is also widely expected to comment on the shocks of Italian banks. So there is likely to be some volatility and focus now shifts to that event. On Friday we reached a new low of 10,402. I had marked out three levels of support based on previous rejection points from the daily chart and on Friday we pierced the first one. Despite this, we actually finished higher on the day closing at 10526. 200 day EMA is it 10 370 just below the second layer of support I marked out on the daily chart. Overall there are still bound by the long-term range, so balls may find a better price on open first thing this morning. On the daily chart we have a couple of interesting zones to watch (for bulls): 10340, 10390 and 10440 which can act as support. We also have the daily 200 EMA just below us at 10367. All of these areas could be interesting to go long with decent reward. On the H4 chart, price has now just touched the lower Bollinger band again, so once again a signal for Bulls. On the one hour chart we attempted to break the support this morning but were rejected and the hourly candle from this morning has a very large tail. Buyers could interpret this as a good opportunity to go long at the bottom of the range. Sellers could interpret this as a second test of support in quick succession, with a break now appearing inevitable. There have been opportunities to sell this from 10800 a couple of times over the last few days, but the market is not really responding as expected and is not suggesting that it is completely overbought. 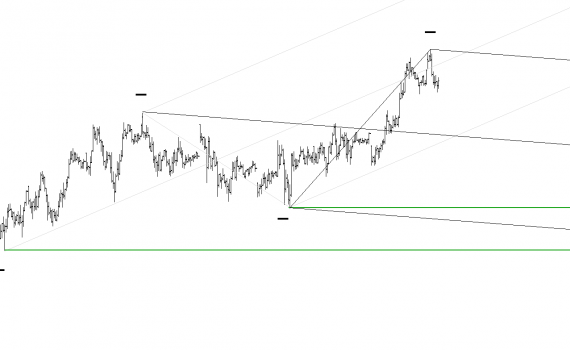 It has been expected that 10500 would be the level to look to buy, but 10660 is a strong level of support at the moment and as a result it's caught in the middle of these two levels. We are in the season to buy stocks and of course this creates a bullish environment, so it doesn't necessarily make sense to sell, even though the technicals are pointing towards the need for a pullback. So to be honest, my trading activity has been really reduced over the last week for these reasons. 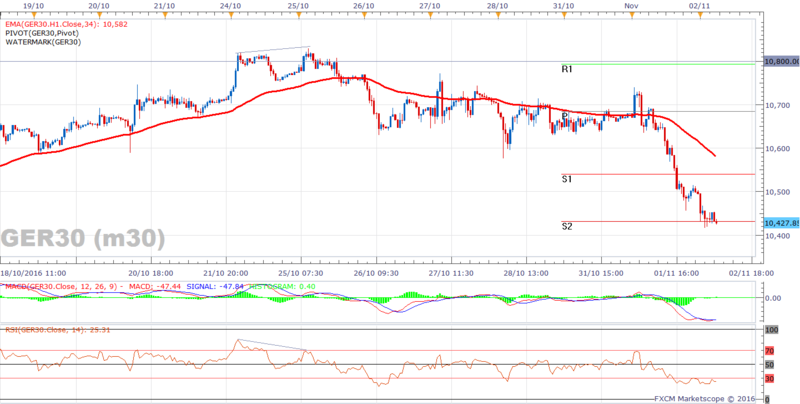 On the H4 chart I am watching the Stochastic oscillator as we have been overbought since the 8/11. There is no signal available using this technical indicator at the moment, so we could even move high before it turns around. However the longer we remain here, in the overbought territory, the higher the chance of a move to the downside, in my opinion. Keep an eye on the other European and US markets as well, but there is a bearish tone to the Dax today, we have broken into the low volume area again (Volume Chart), from above, so a break below the yesterday afternoon low could be interesting, or an entry similar to yesterday (above) could also be interesting. 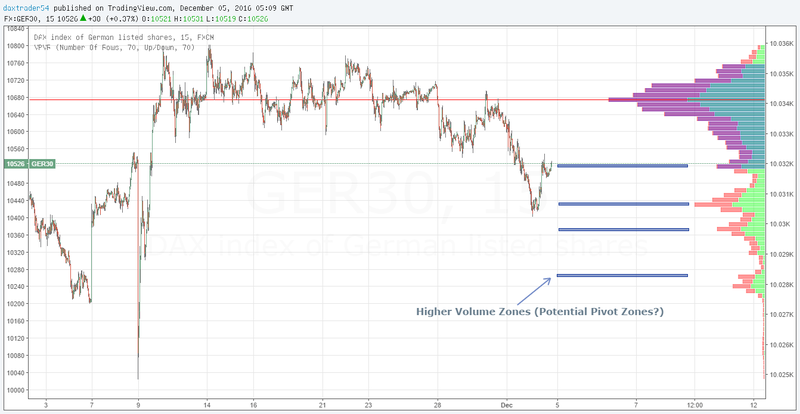 I sent out a volume profile chart (pictured below) yesterday that showed two high volume areas and a pocket in between them. Yesterday there was an opportunity to trade (long) a break through the middle of the three levels all the way up to the higher of the three levels. Price did this and broke through that level. Volume profiles can be useful tools. Do not trade today unless you are prepared to go bust until we have a result. But I am naturally cautious. The best thing to do is probably wait until tomorrow morning when we know who won. Don't stop doing some simple technical analysis, especially if you watch the election journey. I predict a win for Clinton, somewhere around 290 votes to her and the key states are clearly going to be: Texas (Trump), New York (Clinton), California (Clinton) and Florida (Clinton). But am I going to have a trade open? No chance! On the 5 minute chart, we are quickly approaching the S1 for the day, we are finding bullish divergence regularly but of course when you're in a strong trending move (lower in this case) sometimes you will receive false signals. That's why when you trade those signals your risk management is crucial, so you can afford the losers.I may look to the higher timeframes to find the divergence signals. Great times for bears at the moment, because your favourite word is affecting the market. Uncertainty. So you are definitely the favourite right now. If you are not already short, it's probably a bit late to get in now. There is room to move lower, towards 10250 and maybe 10185 but we are approaching the daily 200 EMA and we are hovering around the 10350 horizontal support which will slow down your progress. So 5m bullish divergence on the Dax, S2 on the weekly pivot point indicator, lower band touch on the H4 moving average envelope and all of this happening after a decent bearish run. If you're not already short, it's probably too late. Maybe wait for jumping in, but it's your money. The daily chart still suggests that we have some room to move into to the downside, closer towards 10500 and I still think we are bearish below 10830. 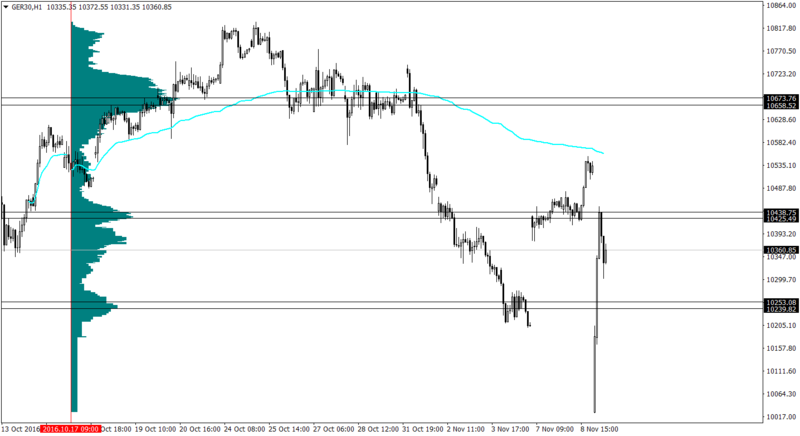 The H4 chart is still not very interesting at the moment. The H1 chart looks bullish to me with a layer of support building around the 10625-10650 zone and bullish divergence appearing on the RSI, so Bulls could find an interesting spot to go long from these levels. On the 5m chart we are currently approaching 10700 which would be the 61.8% of the move today, so if this is a bearish move, we are about to hit the sell zone once more and it's also close to the daily R1. Strange day on the markets today. Very strange. Perhaps because of it being earnings season with lots of announcements coming out today. Watch out for the economic calendar, US durable goods and initial jobless claims will help fuel the rate hike speculation debate once more. Watch also for a break out. The daily chart is looking toppy with the reversal candle formation playing out currently. The only risk being that with everyone jumping on the selling bus, price often has a habit of turning against general sentiment. So manage your trades carefully. There are a couple of items to watch out for on the economic calendar today; BoE governor Mark Carney is set to talk around 14:30 BST followed by Super Mario Draghi at 15:30 BST. Don't forget US consumer confidence as well. All of these items pose some volatility risk to trades. On the five minute chart we are still Bullish as we are making higher highs and higher lows, the trend defining level is 10600, which would be just below the daily S1 (pivot point indicator). If we break above the high from last week, around 10750, we still do not have a clear path above, because 10800 is the next barrier. So traders who are not already long are probably more interested in buying from lower levels, or buying a break through 10800. On the hourly chart, we see price respecting 10645 resistance with a sell off down to 10587, we are now settling and threatening to take out 10600 and head towards a pullback zone (10550-10580). If price holds above the low of today, this will create a buying opportunity.